In December 2017, we reported that public transit passes able to be used on buses and subways in more than 100 Chinese cities will launch by the end of this year. But according to Guangzhou Daily, the coverage of this seemingly almighty pass has broadened in recent months. Today, November 8, Yang Cheng Tong, the company that issues Guangzhou’s public transit passes, are selling 5,000 sets of limited-edition cards granting holders access to buses, subways and other public transit terminals in a total of 210 Chinese cities, including 21 in Guangdong. The cities include Beijing, Shanghai, Guangzhou, Shenzhen, Tianjin, Suzhou, Hangzhou and Nanjing, among others. Each set of the new passes comes with two cards and is priced at RMB88 on Yang Cheng Tong’s JD store. Those interested in securing the limited-edition cards for themselves are also able to make the purchase at the company’s customer service centers, including locations at Chimelong, Baiyun Cultural Park, Chebei Nan and Guangzhou Zoo subway stops. These are not the first trans-city public transit passes offered by Yang Cheng Tong. 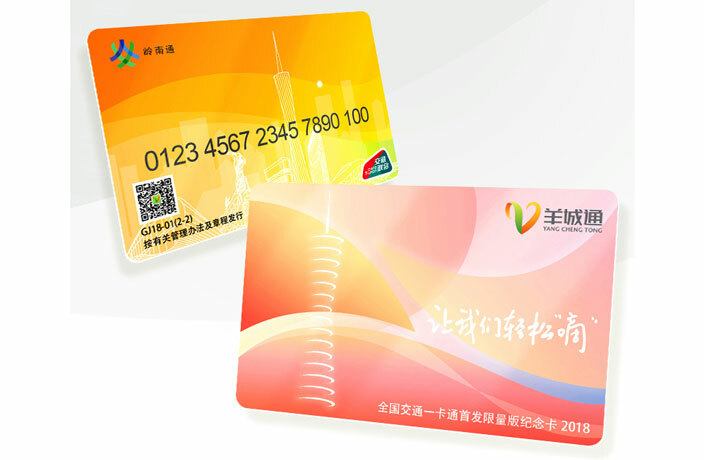 To celebrate the launch of the Guangzhou-Shenzhen-Hong Kong High-Speed Rail Link in September, the company made a limited offer of public transit cards usable in Guangzhou and Hong Kong, as well as a number of other cities in Guangdong. In the video, several people can be seen ducking underneath the turnstiles to avoid subway fares. Ever wonder how many trips are made on the Guangzhou Metro each day? We have an answer. It’s presently unclear if – or when – the facial recognition security scheme will be rolled out across the rest of Guangzhou’s metro system. As these photos show, rush hour was much worse than usual this morning.